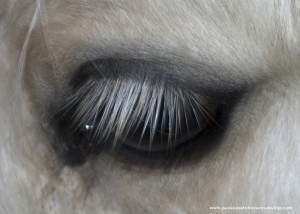 I was reading a blog today and came across the following statement, “I’ve worked in a lot of show and performance horse barns and when you’ve seen as many dead-eyed horses as I have, it begins to eat at your soul.” This really hit home with me because I’ve seen the same thing which ate at my soul. I love to show but I don’t like what I see people doing to their horses. I’m glad I found clicker training as it has made a huge difference to all of my horses. There is no fussing or fighting as we now have an understanding! Did you know that clicker training can be used to improve a horses performance? You can use clicker training for such things as getting your horse to trot, spin, sidepass, backing, lead changes, jumping and more. Clicker training is a very powerful tool. You will notice that after your horse starts offering behaviors it sticks with them no forcing anything. I love how the horse learns to think through things instead of reacting. With clicker training I know that my horses truly understand what I am asking of them. I’ve found that by using positive reinforcement (clicker training) all of my horses look forward to their training session. Want to get started with clicker training with your horse? I offer private or group lessons plus I have online courses that you can take from the privacy of your own home. Contact me today to schedule a lesson. If you have questions about my online courses for Horse Agility, Driving or Showing let me know. Kim thanks for the interesting post. Why do you suppose thereare so many 'dead eyed' performance horses? Are they bored? Do they perform and then never get a reward for their performance? Ihave seen horses perform beautifully and then have to turn around and put in another great performance back to back. The horses have to know that they are doing a good job. It may be a treat, a pat or some other stimulus. I try to reward my horses and often starts out as a treat-fest and have to count my fingers when Im done! but now a simple – good girl – is all that is necessary to get the horse tounderstand that is what I want! I believe there are a lot of dead eyed horses because of some of trained methods that are used. Some show horses that I’ve been around go from their stall at home to the practice ring back to the stall and then off to a show where they are put in a stall again and have never been let out to just run and be a horse.